I hope your bellies are full with turkey, because it's time for Christmas season to commence in earnest! Granted, you've probably seen Christmas things hovering around since Labor Day, but now that Thanksgiving is over, we're really in the thick of it. 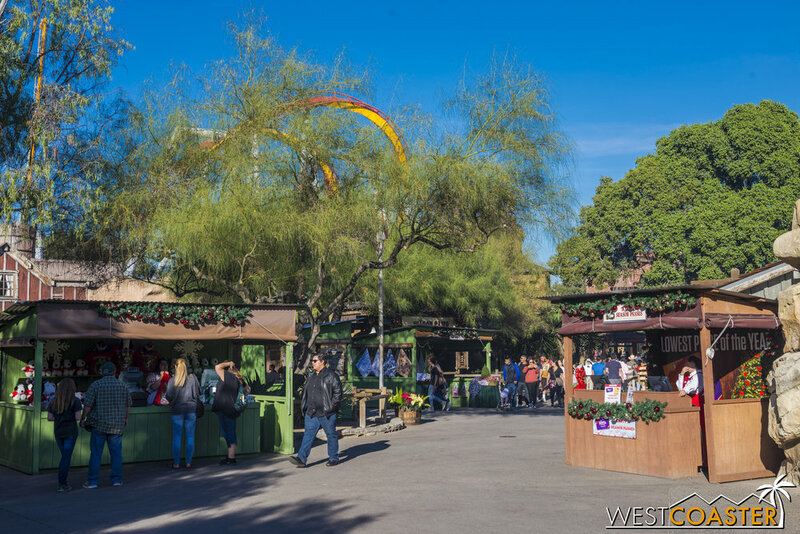 So lets kick off our Christmas season coverage this year by visiting one of our favorite places, Knott's Berry Farm, to see their festive transformation into Knott's Merry Farm! We spent some time around the park this past Sunday to check out this year's merriments, and while the line-up is pretty much the same offerings as what we saw last year, there are still a lot of things to see. 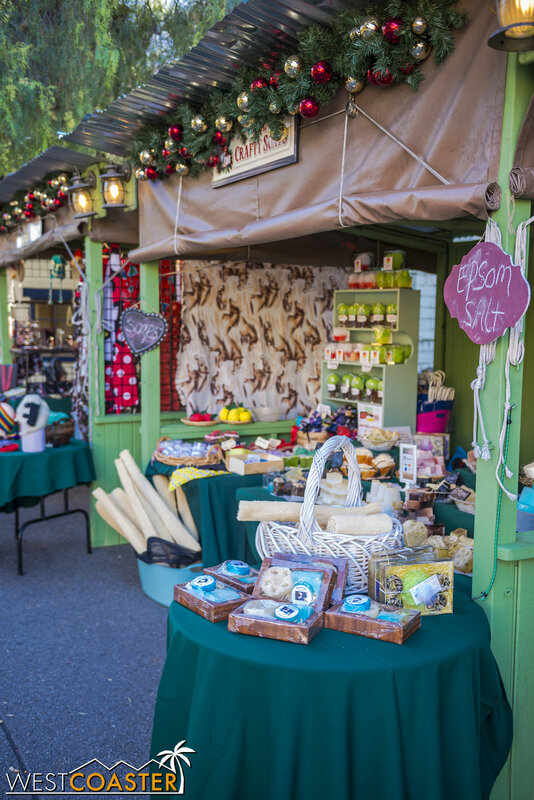 From general park ambiance to a multitude of shows and entertainment options, Knott's Merry Farm is a wonderful place to get into the holiday spirit! 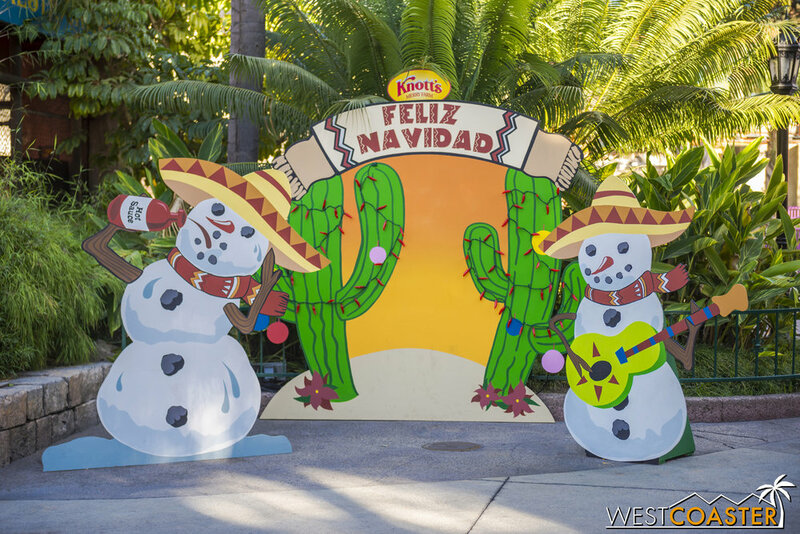 As you would expect when the entire park is rebranded for a seasonal event, each of the themed lands at Knott's has a Christmas flair. We'll check out the sights around the parks before we dive into the seasonal offerings. Looking for a California Christmas? 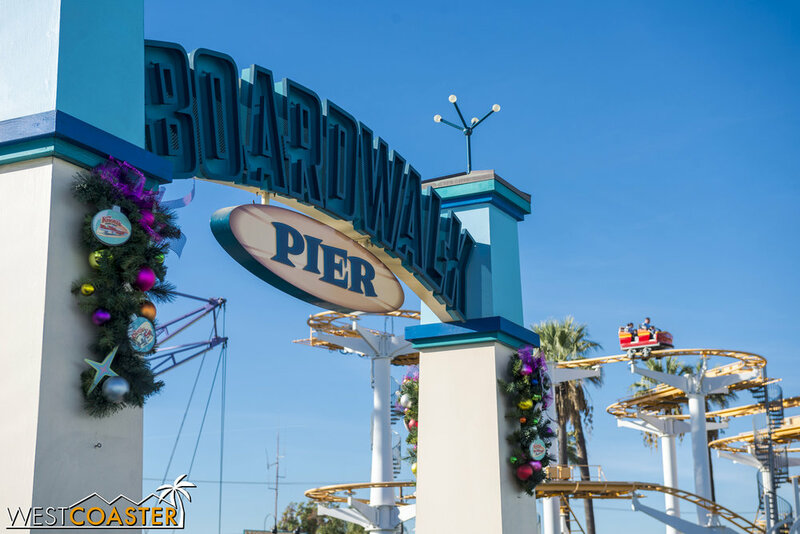 The Boardwalk has your vibes. Or perhaps this is Olaf's kind of Christmas... the kind that seems more like in summmmmerrrrrrrrr... The back side of the park is currently decorated in a medly of mid-century style pop art holiday tinsel and ornament. 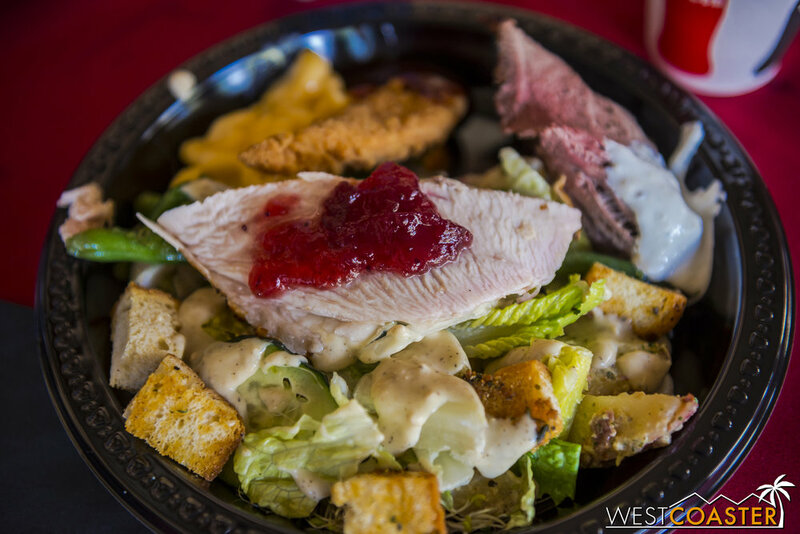 Plus, if you go to the Boardwalk BBQ, you can get a delicious holiday turkey sandwich. If the turkey at our media lunch was any indication, this is a really delicious sandwich! Some things are worth melting for. Like Christmas, apparently. 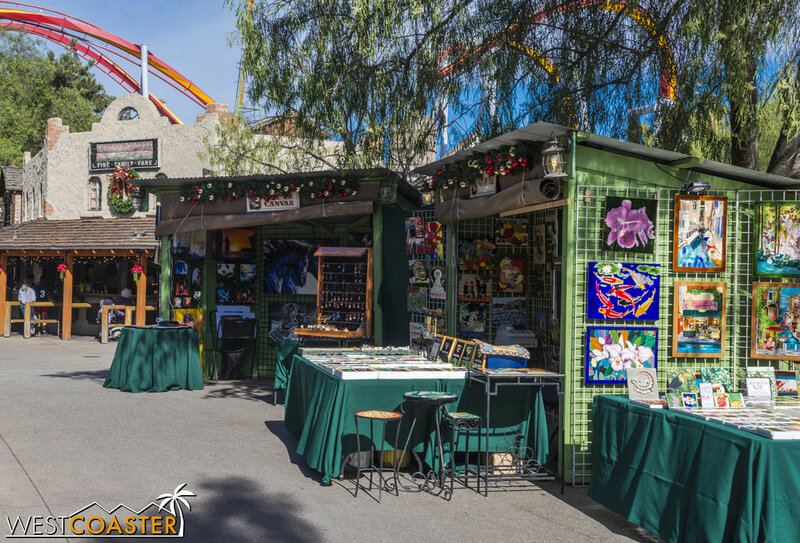 Fiesta Village brings forth a slightly more traditional looking holiday atmosphere. There are also cut-out photo ops for guests to pose with, and the ambiance gives a sort of feeling of celebration. Over at Camp Snoopy, the Christmas ambiance is fittingly more rustic. Pine cones and needles accompany the ornaments and traditional Christmas lights. We didn't stick around until nighttime this year, but if you peek at last year's photos, you realize that nighttime is colorful and wondrous over in the home of the Peanuts! 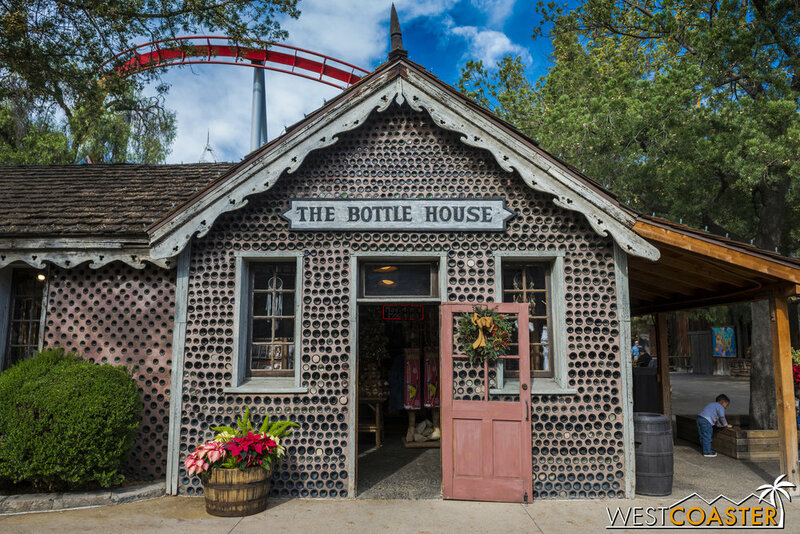 The concentration of Knott's Merry Farm, however, lies in Ghost Town--and how could it not? The original themed land of Knott's makes an incredibly beautiful and immersive environment. 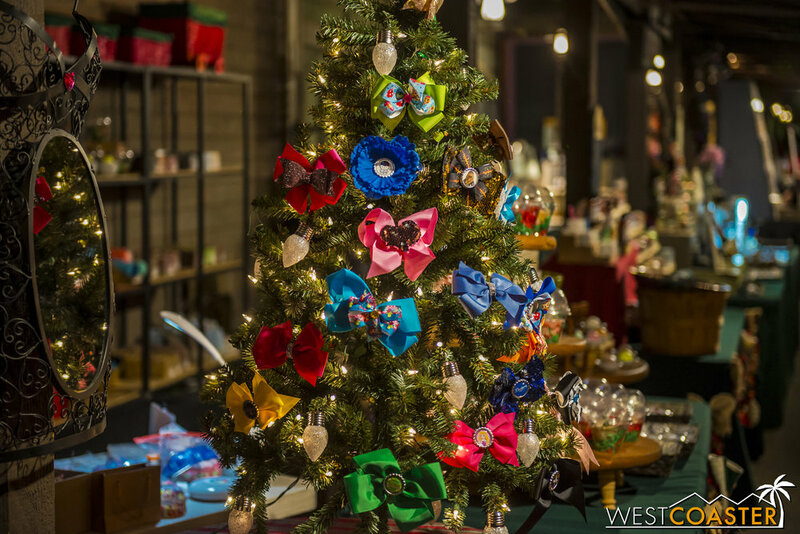 Here, Christmas is celebrated in the Old West style, and a Christas Crafts Fair has set up shop throughout Calico to sell holiday wares ranging from soaps and beauty products to artwork and plushes to ornaments and metalworks. 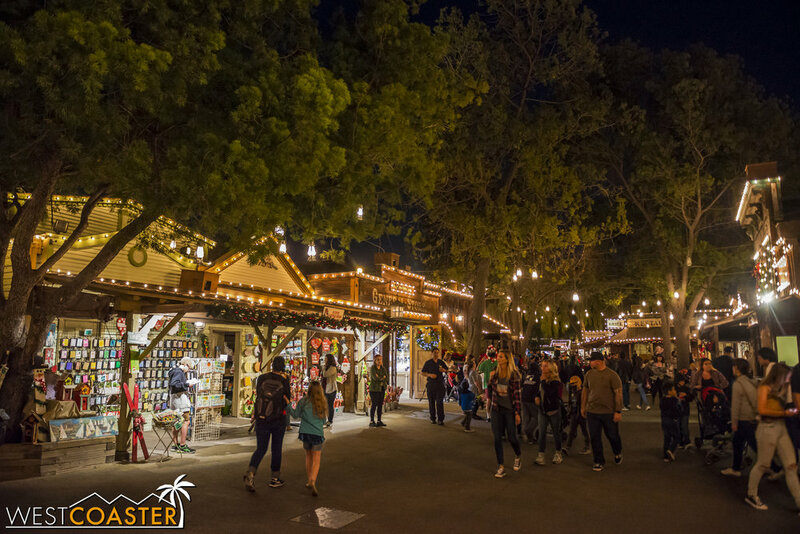 Much like walking up Main Street at Disneyland, strolling through Knott's Merry Farm's Ghost Town proclaims that Christmas time is here, and it's quite lovely--especially once night falls, and the storefronts and facades light up with holiday sparkle. Our media day perks included a catered a lunch. 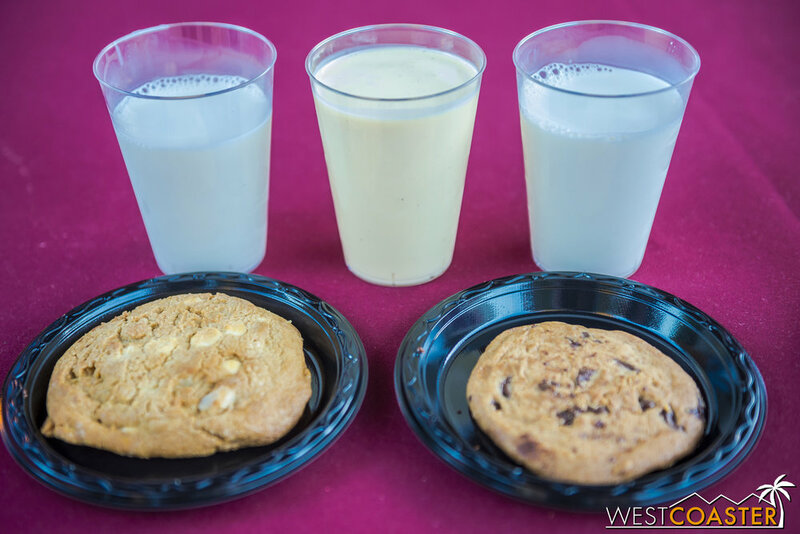 As usual, Knott's dining did not disappoint, and our lunch doubled as a sort of preview of dining specialties being offered during for a limited time during Knott's Merry Farm. My of them were, expectedly enough, diabetic in nature--meaning sweets, sweets, and more sweets. 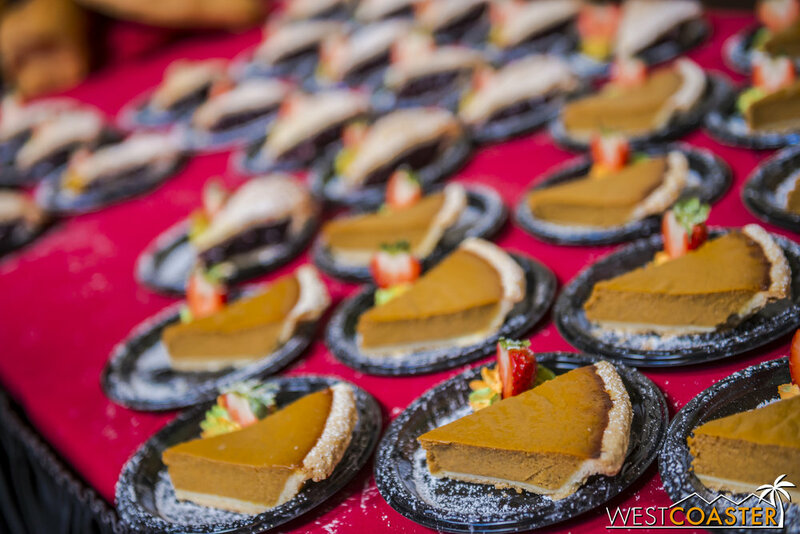 But savories like tamales and special holiday pizzas were available too. 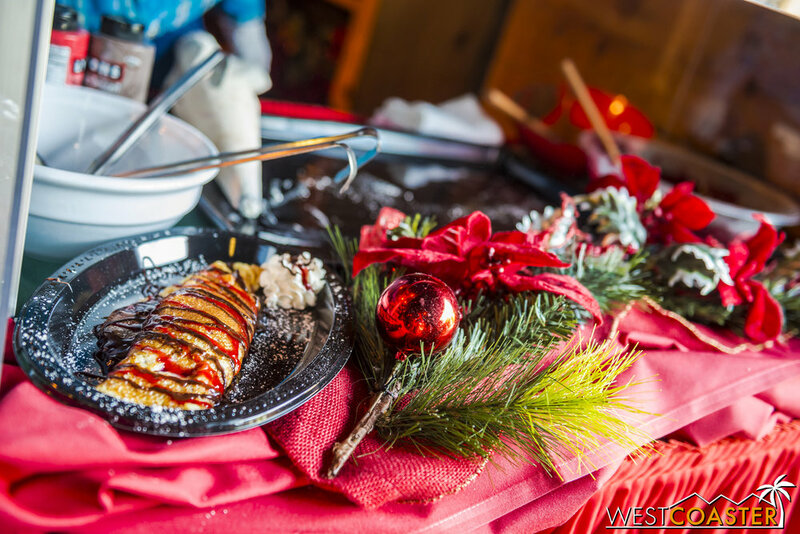 Those who wanted to sample more delights can venture to Santa's Christmas Cabin, located at the Wilderness Dance Hall near Big Foot Rapids. Now full removed of The Red Barn butchery, it's a locale where guests can sample delicious crepes, candied nuts, cookies, milk, eggnog, a freaking cheesecake on a stick, tamales, and holiday beverages. Plus, Santa is there for meet-and-greet photo ops! 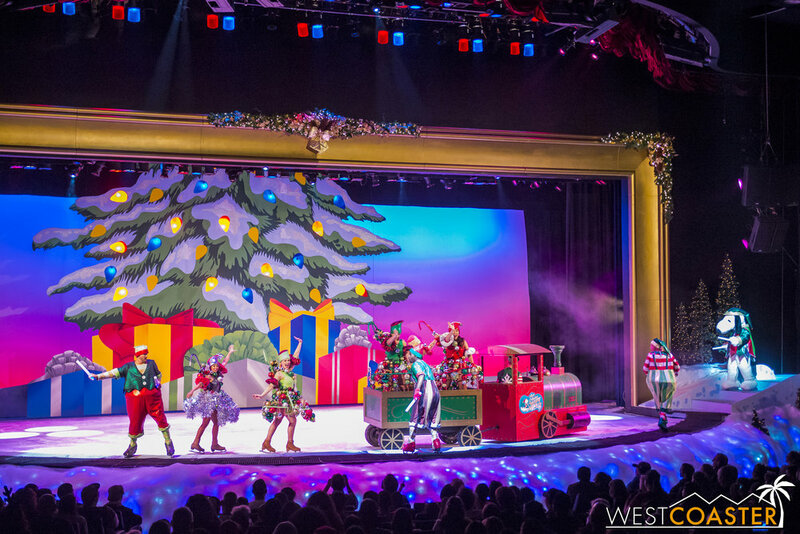 In my opinion, the highlight of Knott's Merry Farm are its plentiful shows. 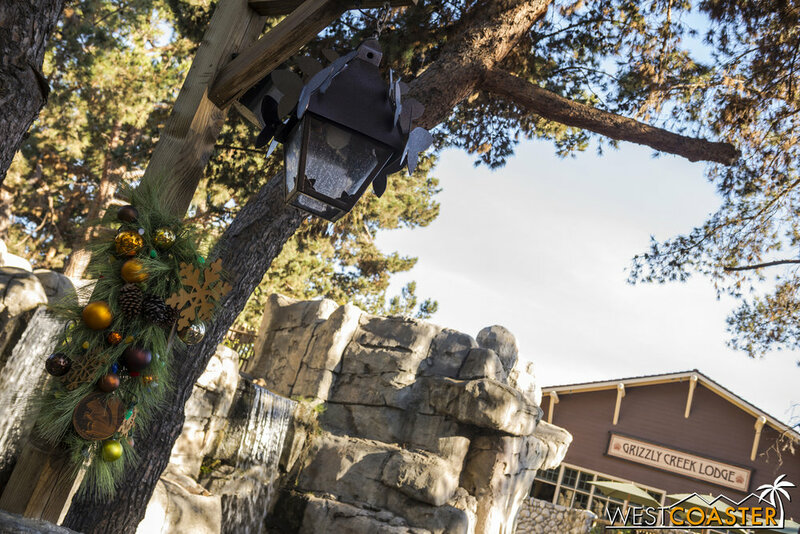 There are five different holiday-specific entertainment venues, plus a tree lighting at night in Calico Park and the "Snow and Glow" moment several times throughout the night in Ghost Town. 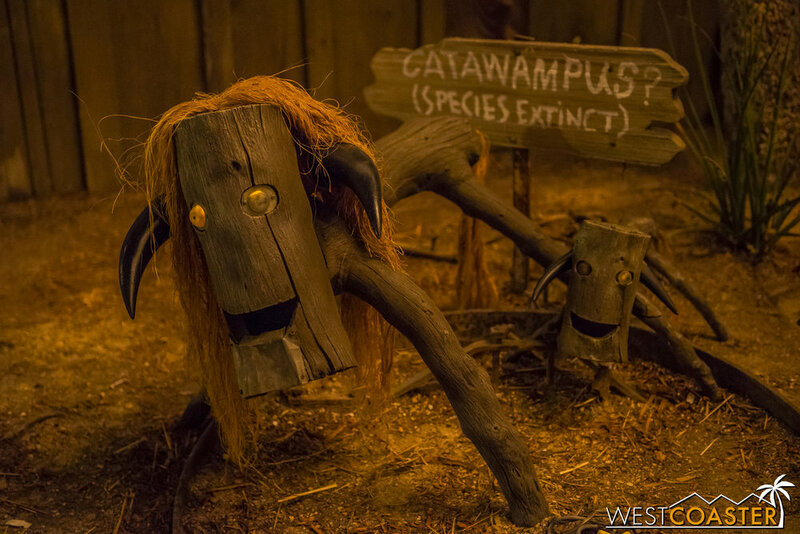 That variety of entertainment is a welcome increase from Knott's other big seasonal event--Scary Farm (though perhaps that will change and revert to the variety of past seasons next year). Though this year's shows are the same as last year, they're well done and very fun. 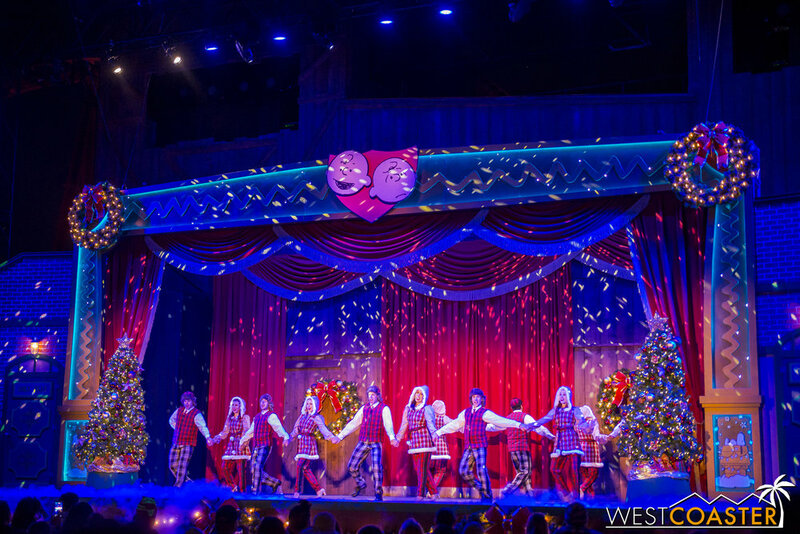 You can't help but smile watching the Peanuts through their different Christmas shows, and they offer a sense of classic holiday vibes. I'm going to immediately contradict my above statement for this show. The premise is simple: Charlie Brown and friends provide a guide on how to progress through the Christmas season, from making a list to finding the perfect gift to creating the holiday foods to celebrating. But somehow, the whole production feels so materialistic. Talks about wanting a five pound box of cash, questioning Santa's stock portfolio, making demands for Christmas, and focusing on on all the gifts given over the 12 days of Christmas felt almost exceedingly greedy. Granted, most of that is from Lucy, but no one really talked about the more altruistic spirit of the season. While I expected the moral to come in at the end of the show, the wrap-up simply involved Santa Snoopy (always a welcome sight, by the way) giving out giant candy canes for a bit song and dance number. What happened, Peanuts? That little rant aside (I was actually amused, not outraged), it's a very cute show, and as long as you don't pay attention to what's actually being said, this charming Camp Snoopy show is a fun little performance of what happens during Christmas time! 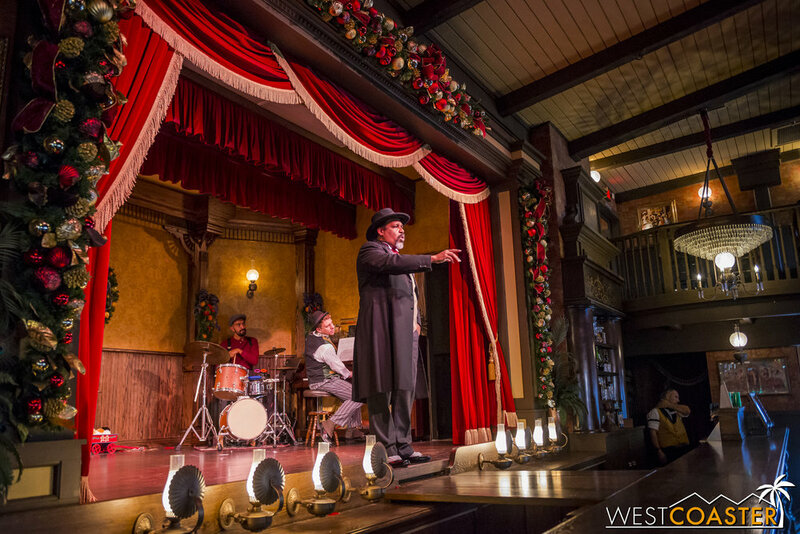 The Calico Saloon is home to a holiday show again this year. Headlined by Dakota Dan and Cameo Kate, the show is an ode to the holidays--with a bit of can can flourish from the saloon dancers, Dixie and Trixie, who perform their famous Christmas Can-Can at the end of the show. 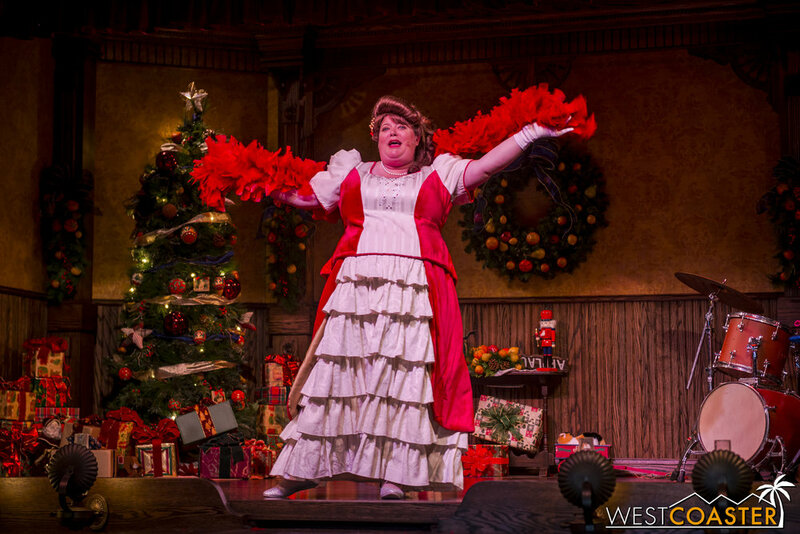 With the usual vaudeville humor and whimsical music, this is a fantastic and intimate bit of Christmas theater! 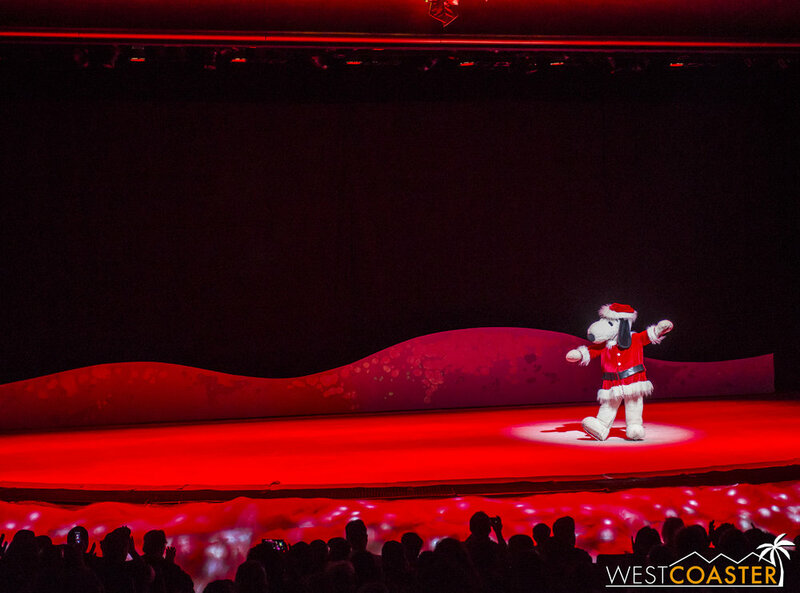 Knott's Merry Farm has always been associated with a grand ice show inside the Charles Schulz theater, and Merry Christmas, Snoopy! returns this year to fulfill that role! The show is identical to last year, but the artistry and talent of the skaters is very impressive to witness, to say the least. This show retains a lot more of the classic Peanuts humor and humility. 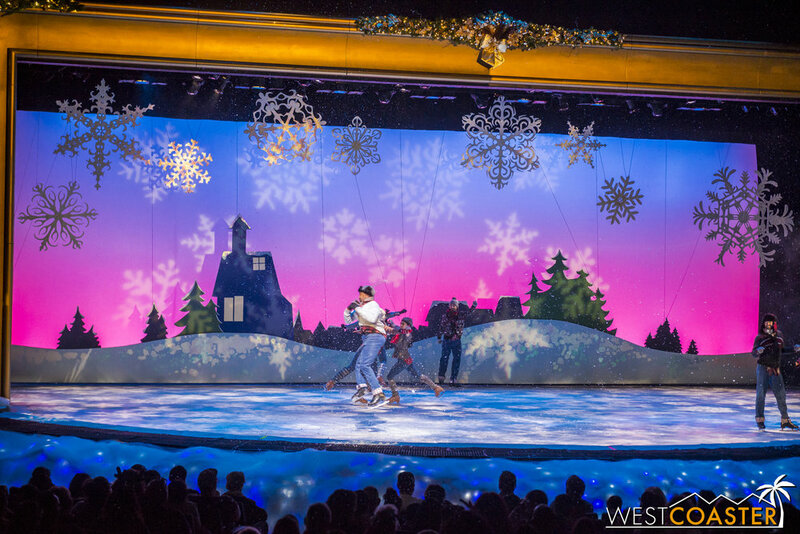 Various scenes of Christmas nostalgia play out on the ice in this expertly choreographed performance! At 5:15pm, the Citizens of Calico (or, at least from what we saw Sunday, only the Deputy Mayor) gather to light the grand Christmas tree in a brief but heart warming ceremony featuring the Calico Bell Ringers and a special guest family that receives the present of the spirit of Christmas (in glowing orb form). This helps trigger the illumination of the tallest tree felled by the Calico Logging Company in these parts! For those who have been to Disneyland and have witnessed the Sleeping Beauty Winter Castle lighting ceremony, the Ghost Town Snow and Glow provides the similar intent. 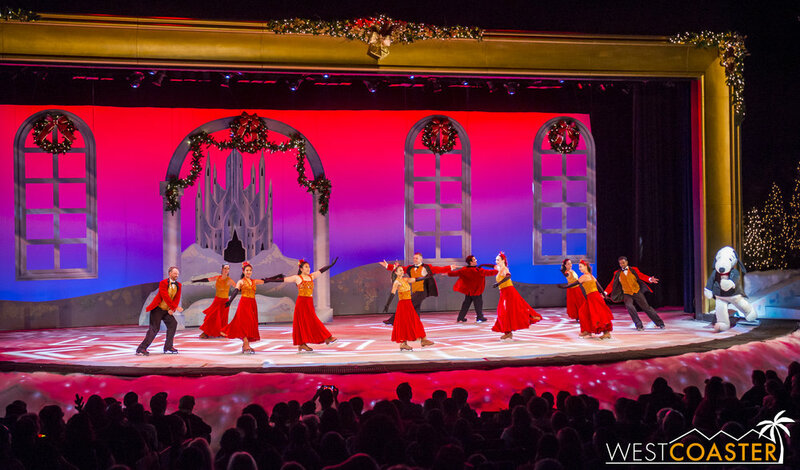 Last just a few minutes, this theatrical synchronization of lights, music, and snoap offers up a proclamation of the magic and joy of the season, followed by the dancing lights of Ghost Town marching along to Christmas carol symphony. 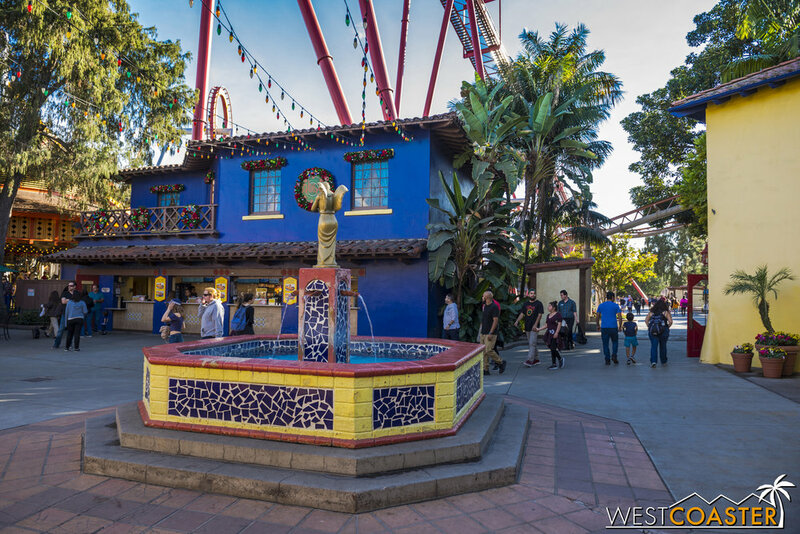 It's a wondrous moment and one of the fantastic newer additions to Knott's Merry Farm over the past few years. It's the Merriest Christmas Show Ever, Charlie Brown! 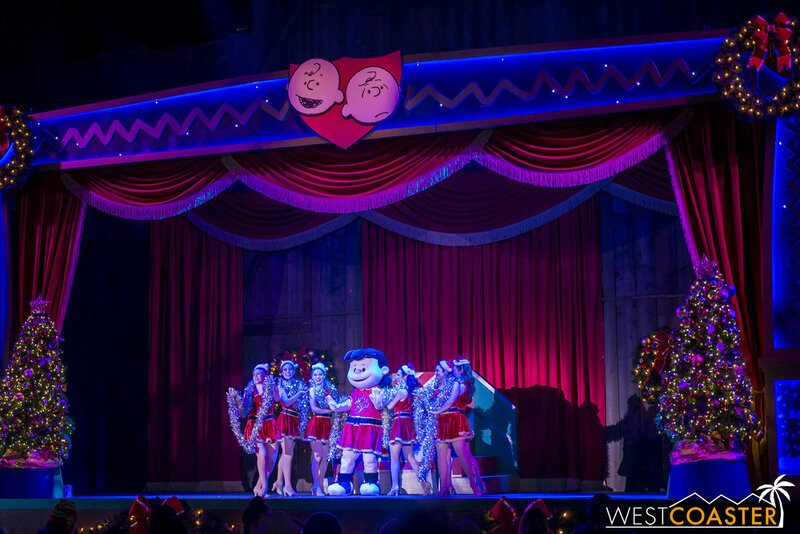 Finally, twice a night at the Calico Stage, the third Peanuts Christmas show provides another song and dance number. This one sees the Peanuts put on their traditional show while Snoopy races back to Calico to make the grand finale. I like to think of this as the Peanuts-centric Camp Snoopy show (but less selfish) mixed with the scale and theatrics of the ice show. 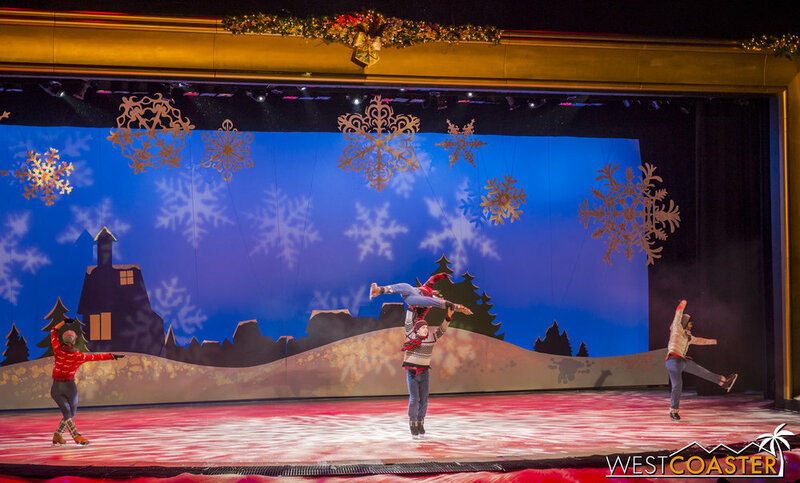 It's a fun pizzazz of holiday medleys and humorous Peanuts skits and definitely worth sticking around the park after dark to watch! There was one show I was unable to catch and photograph--two shows, actually, both located at and rotating in the Bird Cage Theater. A Christmas Carol and The Gift of the Magi tell the classic tales as done by the melodrama company that typically performs in the space. At night, Bird Cage is home to Krazy Kirk and the Hillbillies, the Disneyland transplants who you may recall have found much local success just a few neighborhoods over at Knott's. 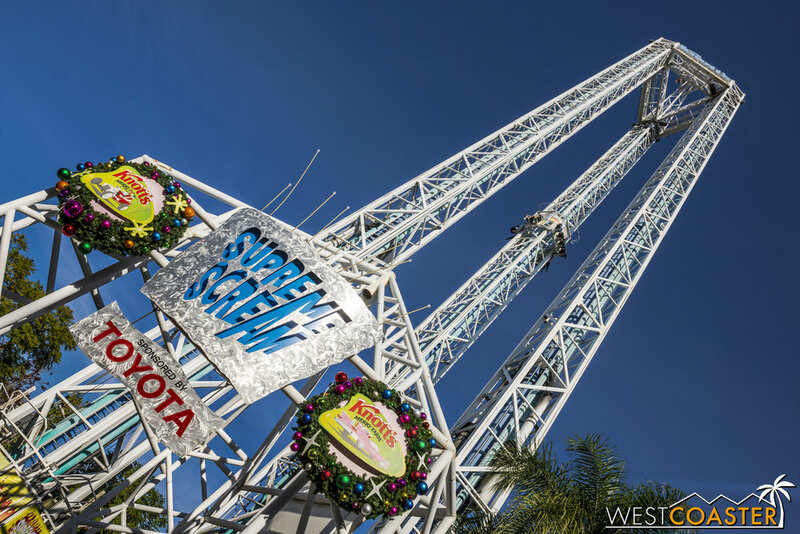 In addition to all of this, Knott's offers all of its normal shows and rides throughout Knott's Merry Farm. 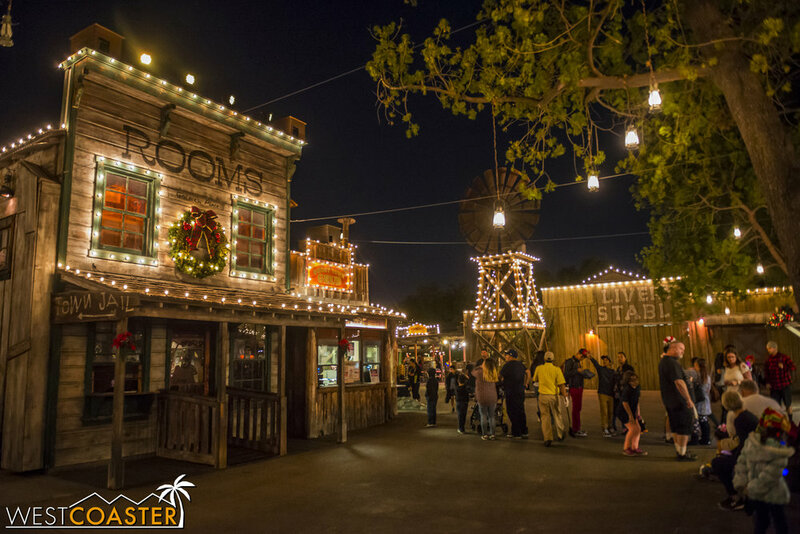 It's a great holiday experience, and if you're not a fan of Disneyland's crowds or prices (they're worth it to me, but I understand that they're not for everyone), Knott's provides a fantastic seasonal alternative, especially for whole family excursions! 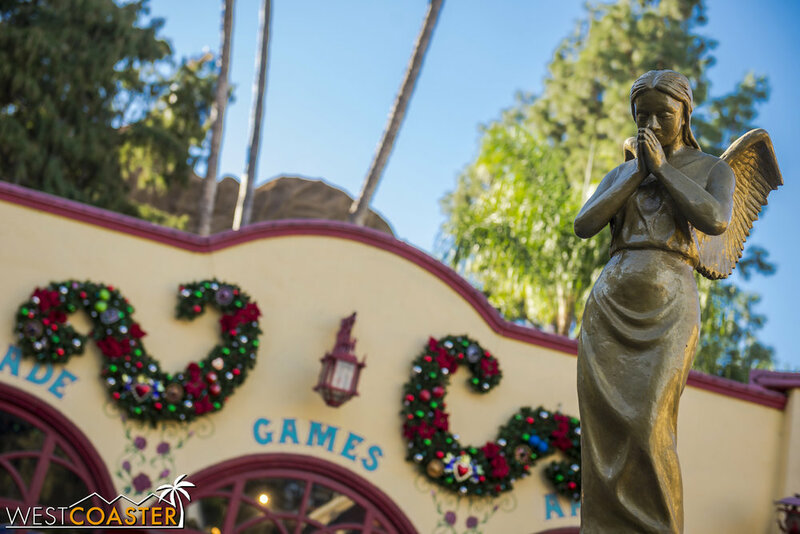 This season's Knott's Merry Farm runs through Sunday, January 7, 2018. 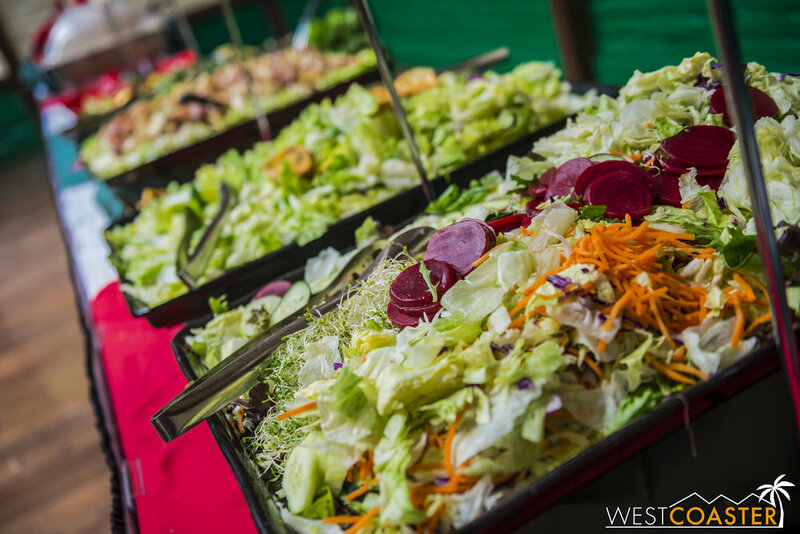 Go and find merriment and check out the Farm today!